The tandem encoder GEL 290 was specially developed for applications with high requirements on redundancy. Several independently operating encoders are mounted on the drive shaft as one unit. 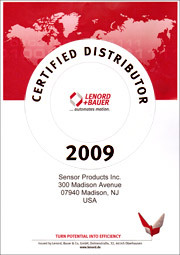 The length of the encoder system is reduced to a minimum by design measures. The tandem encoder is made up for each specific application. The measuring scale on the rotary encoder used is of robust design so that it can even withstand extreme impacts and vibration. The magnetic sensors are resistant to harsh environmental conditions such as dirt, oil, humidity or condensation due to temperature differences. The rotary encoder contains bearings that ensure maintenance-free, durable operation in the harshest operating conditions. 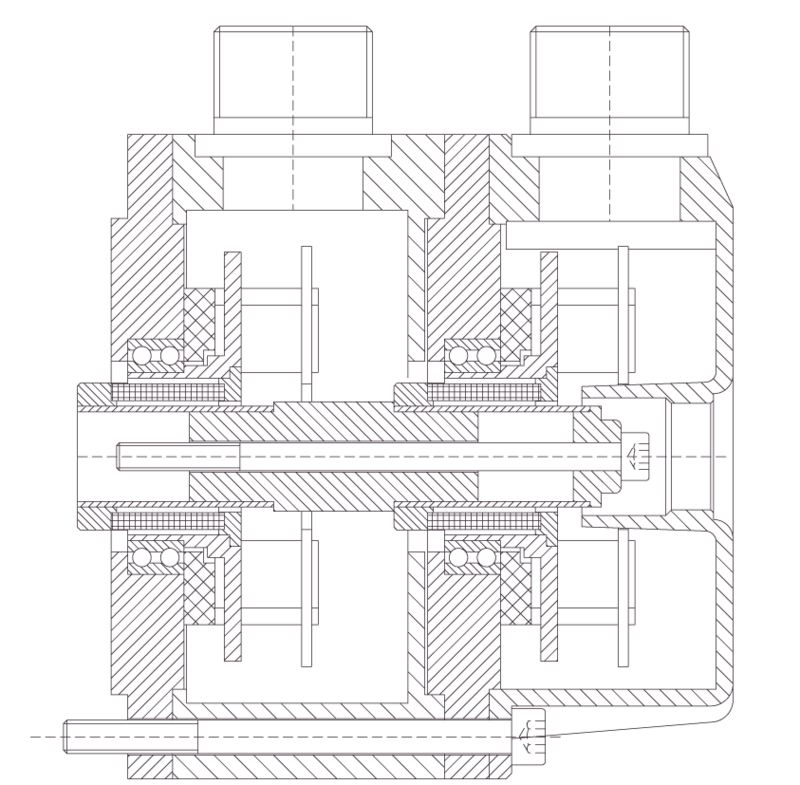 The concept of the tandem encoder foresees the mounting of several independently operating encoders on one shaft. For this purpose, the encoders have been equipped with a continuous shaft or hollow shaft. In this way the requirements from process automation and process data acquisition for checking and safeguarding processes at the same time can be realised. The length of the encoder system has been kept as short as possible to permit trouble-free usage in practice. The tandem solution allows assembly of different encoders in a relatively short set. A central element of the tandem encoder is the incremental rotary encoder GEL 292, this device must be included at least once in each tandem system. 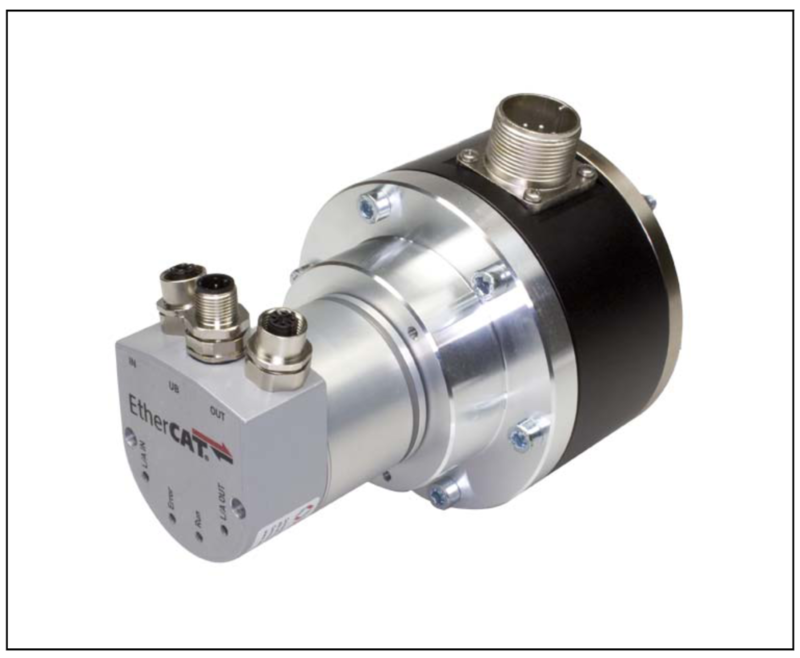 The incremental rotary encoders are equipped with a flexibly mounted hollow shaft into which coupling elements with an accurate fit are inserted; in this way space is saved on fitting together the encoders. The terminating element on a tandem encoder can be an incremental encoder with hollow shaft GEL 293 or an absolute rotary encoder with synchro-flange GEL 235. The absolute rotary encoder GEL 235 is available with various interfaces and bus covers (see Absolute rotary encoder GEL 235 â€“ interfaces). The incremental rotary encoders GEL 292 and GEL 293 are technically identical and vary only in the housing design.